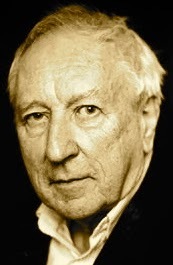 A Year of Being Here: Tomas Tranströmer: "Romanesque Arches"
"Don't be ashamed of being human, be proud! You will never be complete, that's how it's meant to be." "Romanesque Arches" by Tomas Tranströmer, from New Collected Poems (Bloodaxe Books, 2011 edition). Translated from the original Swedish by Robin Fulton. Curator's note: Tomas Tranströmer, one of our mindfulness poets and 2011 winner of the Nobel Prize, died on March 26, 2015, at the age of 83. Here are a couple of quotes to remember him by: "We always feel younger than we are. I carry inside myself my earlier faces, as a tree contains its rings. The sum of them is me. The mirror sees only my latest face, while I know all my previous ones." And this: "I am still the place where creation does some work on itself." 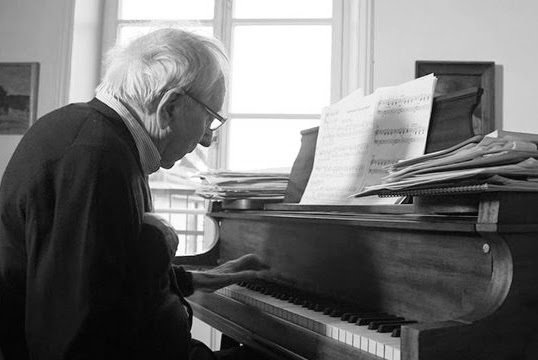 Art credit: Still image from a video in which the poet, who had suffered a stroke, plays left-hand piano to a recording of his beautiful poem "Allegro" (photograph digitally altered by curator).